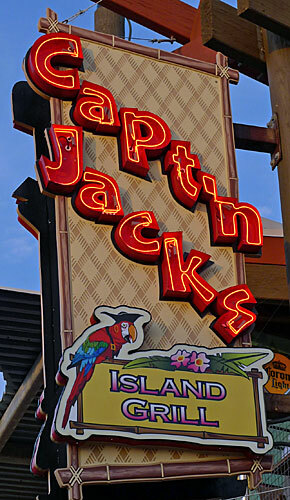 The exterior of Capt'n Jacks. 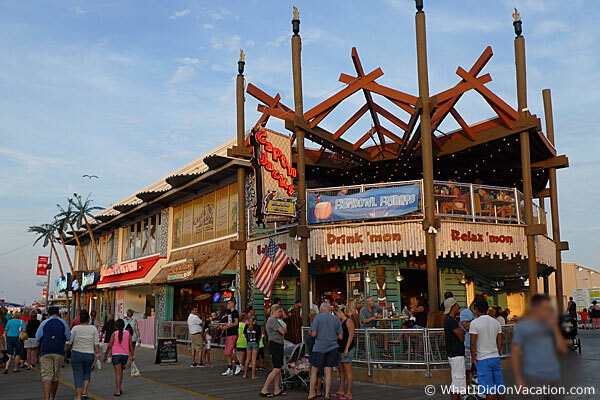 Capt'n Jacks is located on the Boardwalk. Being in such a high traffic area, this restaurant can be very busy and hectic. 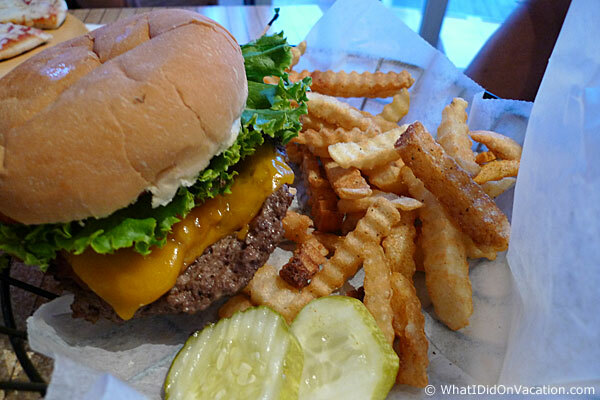 For our visit we found the service efficient and the food tasty. A fresh Angus burger topped with fresh lettuce, ripe tomato, red onion, bacon, BBQ sauce and cheddar cheese on a toasted bun - $9.99. 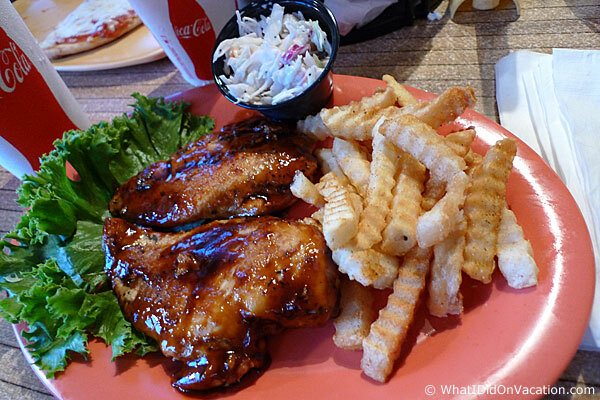 Twin marinated grilled chicken breasts served with citrus chipotle BBQ sauce - $12.99. 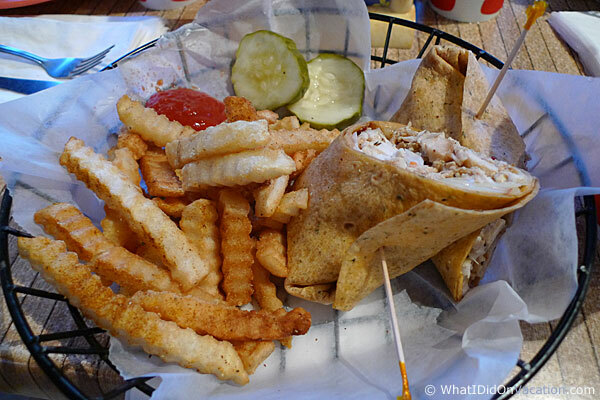 Grilled jerk marinated chicken breast with Caribbean slaw and pepper jack cheese in a sun dried tomato wrap - $9.99.